21-01-2019 - ERBIL, Kurdistan Region — In an attack by unknown men, two members of Iraq’s Federal Police were killed around Khanaqin. “At 8:30 p.m., in the Sherk village of Khanaqin, there was an attack against a station of the federal police. As a result, two police were killed,” Lt. Col. Ahmed Mustafah, said the head of the intelligence of the 1st Regiment of Peshmerga’s 3rd Brigade. He added that one of those slain late on Sunday is named Ali from the nearby town of Sa’diya. The other is named Hussein from Khanaqin. In the last two months alone, ISIS has attacked Iraqi forces 22 times, and more than 12 soldiers, federal police members and Hashd al-Shaabi militants have been killed, according to unofficial compiled figures. Security authorities from Baghdad have called on security forces to take measures to destroy ISIS sleeper cells in the area. 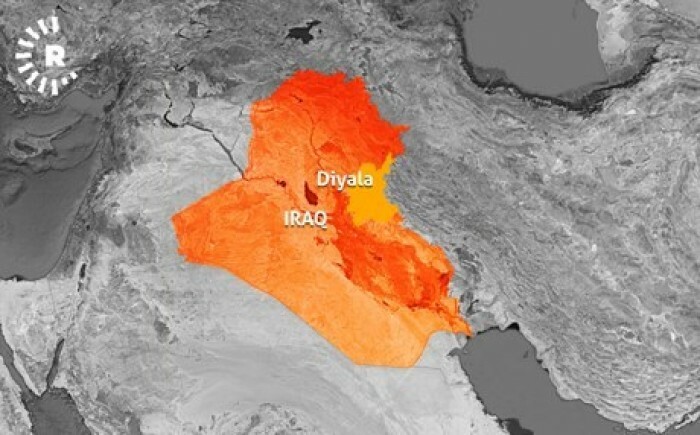 Khanaqin is located in Diyala province, 240 kilometers southeast of Erbil. The disputed city was previously under the administration of the Kurdistan Regional Government. Following the events in October 2017, Baghdad took the security portfolio for all the disputed areas. Locals, some displaced, have repeatedly said they fear living in the area and security is not adequate. Kurdish leaders would like to see the redeployment of Kurdistan’s Peshmerga and Asayesh (Security) to these areas, citing more stability even through the ISIS conflict.